Deere & Company of Moline, Ill., is recalling about 605 John Deere compact utility tractors sold in the U.S. and Canada. The brakes can fail, posing crash and injury hazards. 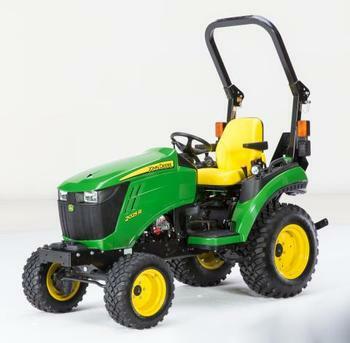 This recall involves John Deere model 2025R compact utility tractors. They are green and yellow with “John Deere” and the model number located on the hood. The serial number, which falls within the following range: 1LV2025R×HJ100101 – 101005, is located on the right side of the frame by the front right tire. The tractors, manufactured in the U.S., were sold at John Deere dealers nationwide from July 2017, through October 2017, for about $16,200. Consumers may contact Deere & Company at 800-537-8233 from 8 a.m. to 6 p.m. (ET) Monday through Friday, and Saturday from 9 a.m. to 3 p.m. (ET), or online at www.deere.com and select Product Recall Information on the drop-down menu under Parts & Services for more information.